TG3 Electronics, Inc. is a leading supplier of engineered input solutions. These solutions include; standard and custom keyboards, bump bars, and custom control panels. TG3 sells into a diverse marketplace that includes but is not limited to; medical, industrial, point of sale, military, mobile data, telecommunications, and white goods. Medical Solutions: TG3 has a full line of small footprint keyboards that fit well on medical carts. TG3 has also developed low cost, fully sealed keyboards for hospitals that offer internet services to their patients. Rack Mount: TG3 has engineered small footprint rack mount keyboards. These low cost keyboards have both standard and chicklet style keys with a low profile to fit on the smallest of racks. Industrial/Mobile Data: TG3’s durable and ruggedized keyboards are engineered to last in harsh environments. They are designed to withstand spills and hospital-grade cleaners. TG3’s ruggedized keyboards fit well into harsh mobile environments. Our 4-layer circuit boards protect against vibration in all types of vehicles. Point of Sale: TG3’s keyboards are engineered and designed to withstand the harsh demands of the retail environments. All TG3 point of sale keyboards are programmable. Bump Bars: TG3 manufactures both wireless and tethered bump bars in our US factory. These high quality bump bars have the quickest lead times in the market. Custom Solutions: TG3 understands the unforgiving nature of the healthcare environment on keyboards and custom panels. We work closely with our customers to take their design requirements from concept to production. 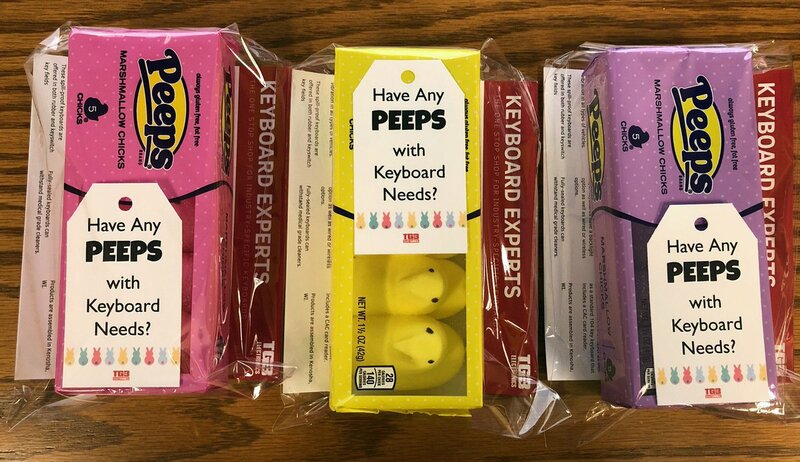 Showing our favorite SYNNEX Corporation #Peeps some much appreciation!